Twelve-year-old Darby loves living on her family's strawberry farm. But a big storm is coming, and it threatens to destroy everything she and her family hold dear. Darby is twelve years old and has Down syndrome. Her favorite things are music, chocolate, and her big sister Kaydee. It's a big weekend for Darby. It's time for their annual chocolate hunt, and it's all she can think about. Well, that and spending time with her big sister. But this year Kaydee's friend Lissa is staying over for the weekend, and she seems to be stealing all of Kaydee's attention. And to make things worse, the strawberry farm is hit by a tornado. Suddenly, it's as though both the chocolate hunt and her sister are slipping away from her. Although the family is prepared for the tornado, they aren't prepared for the storm of emotions that surface when a truth is brought to light. With tension rising within the family, can Darby mend what's been broken when it seems like no one is listening to her? 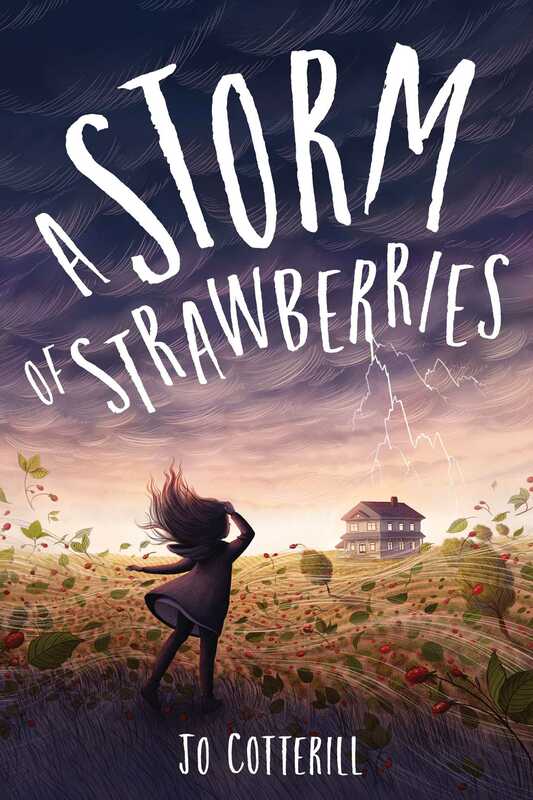 A Storm of Strawberries is a warm, thoughtful, and empathetic novel from acclaimed author Jo Cotterill. Jo Cotterill has had several careers - actor, musician, teacher, fireworks technician - but is now a full-time writer in Oxfordshire. She has published over thirty books for children and young people, including the award-winning Looking at the Stars, A Library of Lemons, and the superhero comic/novel Electrigirl. Jo loves going into schools and talking about books and reading, and can be found making cards and writing music when she's not spending time with her two young daughters.